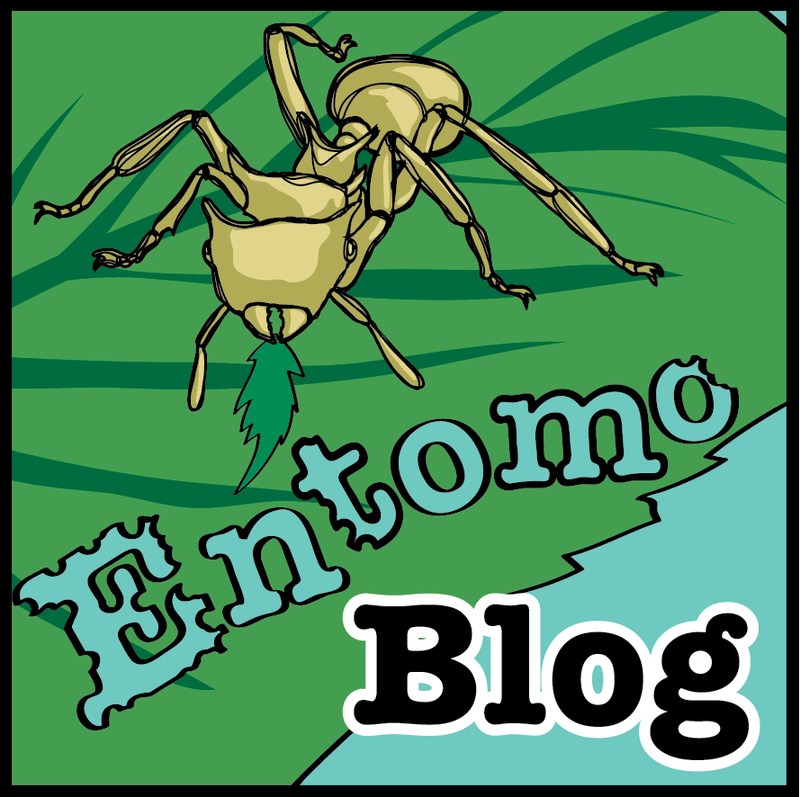 EntomoBloG: Una pequeña nueva especie de insecto hoja de Nueva Guinea es descrita. Una pequeña nueva especie de insecto hoja de Nueva Guinea es descrita. The female and egg of the new Papuan leaf insect Phyllium (Phyllium) riedeli n. sp. are described and illustrated. The species belongs in the siccifolium species-group of the subgenus Phyllium and, with a body length of 56.3 mm, represents the smallest leaf insect so far described for the genus. The type-specimens are stored in the State Museum of Natural History Karlsruhe, Germany (SMNK). A checklist and key is provided for the New Guinean representatives of Phyllium (Phyllium) Illiger, 1798. FIGURE 1. 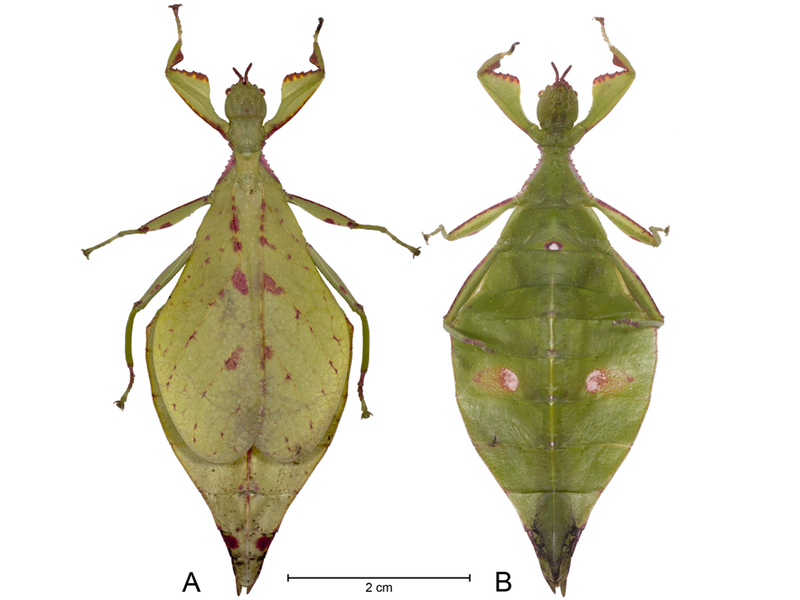 Female holotype of Phyllium (Ph.) riedeli n. sp.. A: Dorsal aspect; B: ventral aspect.